Does your neighborhood have random woodlot? Does your home back up to a stand of trees that blocks the view of the highway or buildings behind it? Have you ever noticed how lots of our highways or major roads are lined with trees? Did you know that if you look at a map of Baltimore, the most abundant land cover is trees?! These trees are home to several forest edge species. Forest edge animals don’t mind a bit of noise or having to travel between patches of trees to find places to nest or gather food. These creatures tend to be some of our most resilient urban wildlife, requiring the least specific of resources to live. However, we can still help them out with a few key actions. These edge species also tend to provide ecosystem services - like excavating holes in dead trees or pollinating trees and wildflowers - that allow more delicate species to survive. Hummingbirds are charming and are readily attracted to sugar feeders, they are best nourished by flower nectar. What you may not know, is that in addition to nectar, these birds also require small insects as a protein source, especially for their young. Learn more about the Ruby-throated Hummingbird! This might look like a beautiful butterfly, but it’s really a moth! Unlike other moths and butterflies, these moths do not feed as adults, so do not serve as pollinators. However, their presence is a good indicator of quality native hardwood forest. 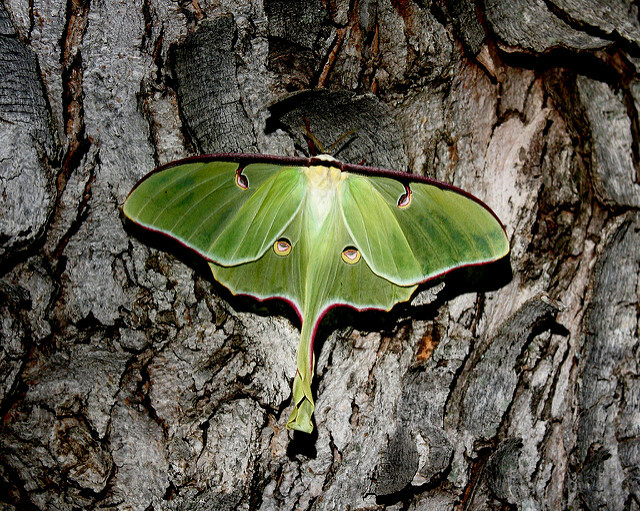 Learn more about the Luna Moth! You’re right, the Red-bellied Woodpecker is super common, so why are they a priority? Woodpeckers are pretty important to other creatures that use the holes they peck into trees for nests and protection! Plus they are super fun and easy to spot! 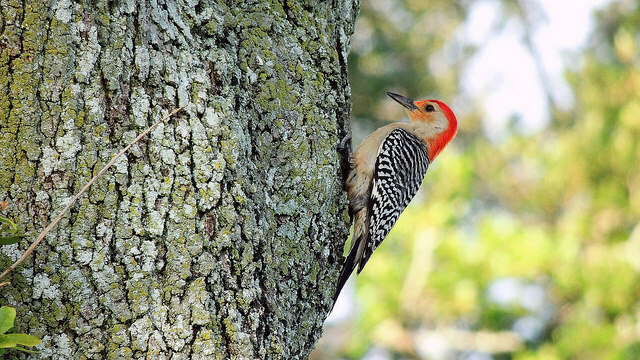 Learn more about the Red-bellied Woodpecker! The most misunderstood creature on this list, the Opposum is an important member of our nighttime city wildlife. These nocternal marsupials eat all sorts of pests: cockroaches, mice, garden snails, roadkill, and even ticks! Wouldn’t it be exciting to have small orchards in every neighborhood where we could go and pick fresh fruit for free? These bees help make that dream possible. Our native orchard bee is at risk from non-native orchard bees that were imported for large-scale agriculture. Learn more about the Opposum! Learn more about the Orchard Bee!